Rising star Cain Velasquez defeated the legendary Antonio Rodrigo Nogueira in dominating fashion in the main event of UFC 110 on Saturday to secure a spot as a top contender for the UFC heavyweight title. The two ground specialists exchanged in a brief standup battle in the where does ginseng grow in tennessee. Acer Arena in Sydney, Australia. A�Velasquez landed a combo, which sent Nogueira to the canvas and he quickly followed up with vicious ground and pound that left Nogueria unconscious. A�Referee Herb Dean called for a knockout stoppage, putting an end to the contest at 2:20 in the first round. Velasquez’s performance earned him “Knockout of the Night” honors along with a $50,000 bonus. The co-main event featured another legendary brazilian fighter and Pride FC champion in Wanderlei Silva, who squared off against Michael Bisping. A�The contest saw both fighters standing and exchanging for the majority of the fight. Bisping took Silva down several times in the first and second rounds, but was unable to keep him down once on the ground. A�Silva caught him in a tight arm-in guillotine off of a Bisping takedown attempt with about 15 seconds left in the second round, but was unable to force a tap. Bisping landed two fouls which briefly stopped the action in the middle of the third round: first a kick to the cup of Silva and then a finger to the eye. A�Silva took the offensive, coming out swinging for the fences in the last two minutes of the fight. A�Silva rushed Bisping and landed a right hook to drop him just before the final bell. Silva was awarded a unanimous decision with all three judges scoring the contest 29-28 in his favor. Bisping disagreed with the official decision. “It’s a close fight, but personally, I thought I won rounds one and two,” he said during the post-fight conference. A�He also stated that he would love a rematch with Silva in the future. Australian native George Sotiropoulos defeated Joe Stevenson by unanimous decision in a thrilling and extremely technical match. A�Sotiropoulos controlled the fight on the feet, dropping Stevenson in the second and put him in several dangerous situations on the ground utilizing his superior submission game. All three judges scored the contest 30-27 in a dominant victory for Sotiropoulos. A�The match was named the “Fight of the Night” and earned both fighters a $50,000 bonus. The Ultimate Fighter season eight winner Ryan Bader took down and controlled Keith Jardine on the ground in the first round of the second main-card fight. A�Jardine controlled the second round with strong punches and leg kicks and was able to stuff the takedown attempts of Bader. Bader landed a right hand that hurt Jardine in the third and quickly followed up with a flying knee to the body and a left hook, which dropped Jardine to the canvas. A�Referee Josh Rosenthal called for a knockout stoppage, putting an end to the fight at 2:10 of the third round. In the first main card fight Croatian legend and Pride FC champion Mirko “Cro Cop” Filipovic faced overmatched Australian native Anthony Perosh. A�Cro Cop was originally scheduled to face former IFL champion Ben Rothwell who was forced to withdraw just days before the event due to illness. A�Perosh took the fight on two days notice. Cro Cop controlled the fight, landing devastating strikes in the standup and denying Perosh’s numerous takedown attempts. A�Perosh continually went for the takedown only to end up in Cro Cops sprawl and to receive brutal ground and pound. Cro Cop landed a powerful elbow from inside the guard, opening up a cut above Perosh’s eye with about a minute left in the second round. A�Cro Cop was awarded a TKO (cut) victory at the end of the second round after a dominant performance. The “Submission of the Night” along with a $50,000 bonus was awarded to Chris Lytle who countered a takedown from Brian Foster to lock in a kneebar, putting an end to the preliminary card bout at 1:41 of the first round. UFC 110 marked the organizations first trip to Australia and proved extremely successful for the UFC. A�The event saw the second-fastest ticket sell-out in the 16-year history of the UFC. A�Dana White announced his intentions to return, to Melbourne, Australia for an event in 2011, during the post-fight press conference. This Saturday Brazilian strikerA�Wanderlei Silva will meet Michael Bisping (18-2) in the main card of UFC 110 in Sydney, Australia. A�Silva hopes to rebound from his recent losses in UFC competition and reform himself as an elite middleweight fighter. Silva, known as “The Axe Murderer,” “Cachorro Louco” and “Mad Dog,” will make his middleweight (185 lbs) debut this weekend. A�Previously fighting in the light-heavyweight division (205 lbs), Silva is the former IVC light-heavyweight champion, the first even Pride middleweight champion (205 lbs) (2001-2007), the 2003 Pride middleweight grand prix tournament winner, and was named the 2004 fighter of the year by Sherdog. Fighting out of Curitiba, Brazil, Silva developed his devastating muay tai striking at Chute Box Academy under Rudimar Fedrigo. A�Upon moving to the United States in 2007 to compete in the UFC, he has trained with Xtreme Couture in Las Vegas. A�Silva is currently training for his upcoming fight at his newly opened facility, Wand Fight Team Academy based in Las Vegas. Silva holds a professional MMA record of 32-10-1, 1NC coming into his fight at UFC 110. A�Despite his impressive record, against top-level opponents, he has lost five of his last six fights, including his last two inside the octagon. A�However, Silva hopes to transform himself as a middleweight fighter. With a strong background in muay tai as well as a black belt in brazilian jiu jitsu under Carlos Gracie Jr., Silva is a complete MMA fighter. A�His muay tai skills have proven pivotal and at times devastating throughout his career. A�Of his 32 career wins, 20 have come by way of knockout or TKO. Former UFC light-heavyweight champion Quinton “Rampage” Jackson knocked out Silva in their third professional meeting on Dec 27, 2008 at UFC 92. A�Jackson landed a quick left hook that sent Silva to the canvas, leaving him unconscious, in the first round (3:21) of the light-heavyweight battle. A�Silva was victorious by way of knockout and TKO in their first two fights, which took place in Pride Fighting Championship. His next fight proved more competitive as Silva lost a unanimous decision to former UFC middleweight champion RichFranklinA�on June 13 in the main event of UFC 99. A�It was a back and forth battle featuring both fighters on their feet striking for the majority of the fight. A�The contest, which won fight of the night honors, was fought at a catchweight of 195 lbs. Despite his reputation as a distinguished striker, Silva’s striking defense has been his most noticeable weakness in recent fights. A�In his last six fights he has faced three knockout losses. A�Of his 44-fight career Silva had never been knocked out and had only ever been TKO’d twice before this point, one due to a cut. Silva’s muay tai skills will be extremely relevant in his fight with Bisping and will likely be utilized as often as possible. A�Bisping is crestor price philippines 150. a striker as well, and is known for keeping the fight standing. A� Of Bisping’s 18 career wins, 11 have come by way of knockout or TKO. A�The match will likely be a stand-up battle, featuring two talented strikers relatively new to the middleweight division. Australia is currently the hotspot for MMA action, as we get ready for UFC 110, which will occur in Sydney. Highlighting the Main Card is the much anticipated Nogueira vs. Velasquez. However, there is another fight that may draw more attention. Only separated by three years of age, middleweights Wanderlei Silva (33) and Michael Bisping (30) are more dramatically separated by eight years of professional experience. With his first professional bout in 1996, Silva has risen to become not only a great fighter at 32-10-1 (1 NC), but also a great leader and teacher, starting his own fight team (Wand) in Las Vegas, Nev.
Bisping, on the other hand, began his professional career in 2004 at Pride & Glory 2: Battle of the Ages, in which he won the fight in 0:38 with an armbar over Steve Matthews (2-4-0). Since then, Bisping has generated an 18-2 record a�� his only losses occurring within the past two years. He was undefeated with a record of 14-0 until a loss to Rashad Evans (14-1-1) in 2007 at UFC 78 on a split decision. More recently, Bisping, also known as a�?The Count,a�? added his only other loss against United States wrestling specialist Dan Henderson. Prior to the fight, which occurred at UFC 100 in Las Vegas, Nev., Bisping and Henderson squared off in a different venue: The Ultimate Fighter: United States vs. United Kingdom. Bisping coached the UKa��s team, as he grew up in Clitheroe, Lancashire. In a fight with implications of a shot at Anderson Silva for the Middleweight Championship Belt, Bisping looked to improve his record to 15-1 and contendership, but Henderson had other plans. In what seemed to be an evenly matched first round, both fighters exchanged blows using their hands and feet, which is not surprising, beings that Bispinga��s style indicates a background in kickboxing, BJJ and Muay Thai. By the end of the round, it was quite obvious that Wolfslair MMA Academya��s own, Bisping, was fatigued, and at 3:20 in the second round, after another match of punches and kicks from both fighters, Henderson landed two big punches to defeat Bisping via an absolutely ruthless knockout. Bisping would rebound nicely, as he ventured off to his homeland of England where he would face off against Canadian BJJ specialist Denis Kang at UFC 105 in Manchester. The fight would win where to buy propranolol. Fight of the Night honors, and featured a much different Bisping. Contrary to Bispinga��s prior fight, his opponent gained complete control of the first round, mounting Bisping twice in the early-going. Bisping followed with a statement kick to the head, which grazed Kang, and then followed up with two of his own takedowns. After a few jabs and another takedown, Bisping mounted Kang and finished him off with punches and knees. The referee stopped the fight at 4:24 of the second round, declaring Bisping the winner by TKO. So, will Silvaa��s quick and aggressive Muay Thai and BJJ style, paired with the extra eight years of professional experience, bode well for the 18-2 Bisping? Bisping certainly thinks so, especially after tweaking his defensive posture, according to an interview on Bispinga��s website. a�?I’ve been working a lot of my defense, obviously since the Dan Henderson fight,” he commented. “I had no choice. I got knocked out there, and I’m not in a rush for that to happen again. I’ve been working on my defense, and I’ve got no qualms standing with Wanderlei.a�? UFC 110 will air on February 21, 2010, and we will find out if Bisping has what it takes to handle a veteran and rank among the top middleweights in the world. Cain Ramirez Velasquez, one of A�the UFC’s rising stars in the now stacked heavyweight division, looks to prove himself as a top contender for the title with a win this Saturday at UFC 110. The main event of UFC 110 will feature Velasquez, 27, facing off against Antonio Rodrigo Nogueira (32-5-1, 1 NC) in Sydney, Australia. A�Velasquez holds a perfect professional MMA record of 7-0, with six of his wins coming by way of knockout or TKO. A�He holds a 5-0 record in UFC competition. Velasquez first developed his strong wrestling base at Kofa High School, located in Yuma, AZ, where he became a two-time 5A state champion. A�He went on to become a two-time All American collegiate wrestler at Arizona State and a Junior College National Champ at Iowa Central Community College. As an American MMA fighter based out of California, Velasquez strongly embraces and takes pride in his Mexican descent. A�He is currently fighting out of American Kickboxing Academy in San Jose, CA. Velasquez’s lone decision victory came in his viamax sildenafil. fight against French kickboxing ace Cheick Kongo (14-6-1) on June 13 at UFC 99. Velasquez dominated the fight on the ground scoring a unanimous decision: 30-26, 30-27, 30-25. Despite the one-sided nature of the judges’ scores, the fight did reveal weaknesses in Velasquez’s game and was perhaps his only professional MMA fight to do so. A�He was caught with big shots, which seemingly hurt him and forced him to go for the takedown at the beginning of each round. This demonstrated a weakness of Velasquez leaving himself too open to strikes while looking for the takedown, or poor striking defense in the stand-up in general. A�However Velasquez weathered Kongo’s devastating blows and took the upper hand, which demonstrated a phenomenal chin. In his next fight Velasquez ran through a top-level opponent and showed unquestionable progression as a complete MMA fighter. A�Velasquez took down Ben Rothwell (30-7) with seemingly little effort and battered him on the the ground A�for a TKO victory on October 24A�at UFC 104. Velasquez controlled Rothwell on the ground and in the clinch, reigning down blows until the fight was stopped in the second round (0:58). A�Rothwell had very little response or defense to Velasquez’s game plan. Velasquez’s strong wrestling skills were undoubtedly the most pivotal part of his game in his last two octagon appearances. A�However, his takedown offense and strong ground game may not be as relevant in his upcoming fight, as they may present dangerous situations for him against submission specialist Antonio Rodrigo Nogueira. Nogueira holds a black belt in both brazilian jiu jitsu and judo. A�Velasquez holds just a purple belt in brazilian jiu jitsu. A�Nogueira’s technical ground game and particularly his strong submission skills will pose a challenge to Velasquez’s wrestling game. Of Nogueira’s 31 career wins, 20 have come by way of submission. A�Velasquez will likely break away from his normal game plan and possibly even change his training regiment in order to counter this threat. A�It would not be out of the ordinary to see a stand up battle between two ground experts. As Ultimate Fighting Championship hits Australia for the first time viagra cheap at UFC 110 on Feb. 20, 2010, heavyweight Antonio Rodrigo Nogueira looks to add his 33rd win in MMA competition. Nogueira (32-5-1, 1 NC), 33, represents Brazil as he takes a trip to Sydney to highlight the main card at UFC 110 against undefeated heavyweight United States figher Cain Velasquez (7-0-0). Despite Velasqueza�� winning record and fierce wrestling style, Nogueira, also known as Minotauro, brings experience to the table with a black belt in both Brazilian Jiu-Jitsu and Judo. Although Nogueira only has five losses, one of those losses came in one of his last two bouts, and was not pretty for the Vitoria da Conquista, Brazil native. UFC 92 (12-27-2008) in Las Vegas, Nev. marked the end of a reign for Minotauro. 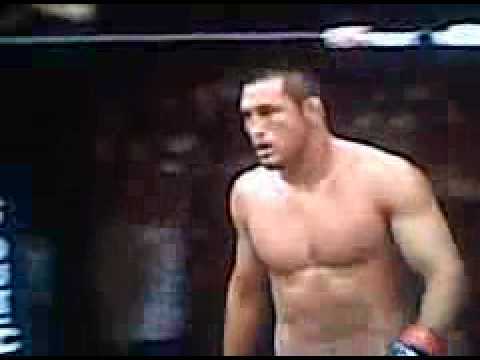 When 3-1 underdog Frank Mir took the octagon, he immediately took control of the fight, knocking down Nogueria twice with boxing moves. In the second round, Nogueria tried to establish his jabs, but Mir continued to land the big shots, finishing off with back-to-back left hands and the referee stopping the fight. With 1:54 in the second round, Nogueria lost the bout and the UFC Interim Heavyweight Championship. Nogueira would fare better in his next fight, which occurred Aug. 29, 2009 at UFC 102. The event would have taken place about one year earlier had Randy Couture not retired in Oct. 2007. In the meantime, Nogueira would win the UFC Interim Heavyweight Championship and become the first fighter to ever hold both PRIDE and UFC belts. Couture and Nogueira squared off in what would be known as the a�?losera��s bracketa�? of the UFCa��s mini heavyweight tournament. However, the fight also highlighted the event, being named a�?Fight of the Nighta�? when all was said and done. Couture opened the fight strong with some great avoidance and defensive tactics to remain in the stand up game. Eventually, Nogueiraa��s fists took advantage, taking Couture to the ground and allowing him to get a tight brabo choke on Couture. The second round saw Couture in one of his weaker states, the half guard, for most of the round. Finally, things slow down as Nogueira slowed down his offensive attacks in round three. Despite Couturea��s late round efforts with some ground blows, it was not enough. Nogueira took the fight with a unanimous decision: 30-27, 30-27, 29-28. Looking towards UFC 110, Nogueira sees that a win will likely earn him the right for a future title bout a�� an honor that his undefeated opponent, Velasquez, will not buy viagra in hcmc. let go easily. Velasquez has built a reputation to be one of the most talked about heavyweights in the mixed martial arts world, today. If Velasquez has any chance of winning this fight, it is with a technical and sound game. Nogueira on the other hand would be best suited to stick to his normal routine, where he has proven that he can win over 80-percent of the time. The Axe Murderer. Cachorro Louco. The Mad Dog. Wanderlei Silva (32-10-1, 1 NC) has torn through the mixed martial arts world through the years. The 5a��11a�? 205 pound Muay Thai specialist has trained in Brazil at the Chute Boxe Academy, and in Las Vegas at Randy Couturea��s Xtreme Couture, and most recently, has opened his own facility, the Wand Fight Team Academy. Silva is currently training in Australia for his next fight at UFC 110 against Michael Bisping (19-2-0). However, Silvaa��s purposes in Australia are not limited to training. He is also actively recruiting new fighters to join his newly opened Wand Fight Team Academy. In January, the Team added its first Puerto Rican fighter, up-and-coming Orlando a�?Tikya�? Sanchez. Silvaa��s efforts in Australia should wield results, as Wand looks to add to its current repertoire of 12 fighters. Vastly growing and gaining credibility, the Wand Fight Team Academy not only shares head trainer Silvaa��s expertise in Muay Thai and Brazilian Jiu-Jitsu, but also hoards a plethora of coaches and trainers that supplement Silvaa��s knowledge and skills. Coaching BJJ, Vitor Vianna is a six-time Brazilian Champion, and has been awarded the BJJ World Cup Championship three times (2001, 2002, 2003). After an buy oristat. impressive performance in the 2006 Fury FC Grand Prix against Thiago Silva, in which analysts believe the only reason he lost was because of a broken arm, Vianna was noted to be one of the best middleweight fighters in the MMA world, today. Boxing training is also heavily equipped with experience. For MMA fighters, the stand up game is always an advantage that one would like to have in the back pocket. Coach Mike Smith helps to ensure that trainees get the necessary training to add this important asset to their game. After a stint with the Army, Smith returned to his hometown of Brooklyn. He has coached many New York area fighters, including three-time female Golden Glove Champion Ronica Jeffrey. The teama��s cardio and weights coach is Grant Prestwidge. With a win at UFC 110, not only will Wanderlei Silva improve his record and even more credibility in the MMA world, but he will also be able to promote the type of fighter that the Wand Fight Team Academy breeds. Fighters at the American Kickboxing Academy (AKA) have been very busy in the past month, many making a name for themselves, as fighters, in mainstream MMA, and others hope to improve their reputation in upcoming months. The American Kickboxing Academy is a gym located in San Jose, California. A�AKA’s training staff members have diverse sets of martial skills and come from very different backgrounds. A�This diversity is the gym’s greatest strength, because it allows for the development of more well-rounded and intelligent MMA fighters. AKA gained notoriety due to its talented and experienced training staff, as well as Javier “Thunder” Mendez’s success as a kickboxer and MMA trainer. A�Mendez, the owner and head trainer at AKA, is a former ISKA World Kickboxing champion and Martial art practitioner with over 25 years of experience in various martial arts. One fight UFC veteran “Crazy” Bob Cook is the head MMA trainer and head manager for MMA fighters at AKA. Cook holds a 5-0 undefeated record in MMA. A�His last fight was at UFC 24 in March of 2000 in which he submitted Tiki Ghosen by rear-naked choke. Head grappling coach David Camarillo is a black belt in both judo and brazilian jiu jitsu. A�Camarillo holds various accomplishments, including winning several high-caliber grappling competitions and even winning the 1998 Folsom Free Fighting Challenge, a no holds barred fighting competition. The remaining instructors at AKA vary in discipline and experience from professional MMA fighters to former professional boxers and kickboxers, muay tai practitioners and grappling specialists. A�They include Jerome Turcan, Travis Johnson, Mike Sotelo, Andy Fong, Derek Yuen, Josh Thomson, Gary Owens, Stacey D. Dupree and Daniel DeTagle. AKA holds a roster with considerable talent and a diversity of fighters in terms of martial strengths. A�Its current roster includes numerous UFC veterans, including Jon Fitch, Josh Koscheck, Mike Swick, Phil Davis, Josh Thomson, Cain Velasquez, Paul Buentello, Trevor Prangley, Christian Wellisch, Richard Crunkilton, Bobby Southworth and Kyle Kingsbury. A�AKA also has many Strikeforce veterans, including former Middleweight champion Cung Le, Herschel Walker, Billy Evangelista, Daniel Puder, DanielA�Cormier, Luke Rockhold, Justin Wilcox and Nate Moore. Heisman trophy winner and 12 season NFL veteran Herschel Walker made his MMA debut on Jan. 30 at Strikeforce: Miami at the age of 47. A�Walker took down and pummeled Greg Nagy, achieving a technical knock out in the third round (2:17). Penn State augmentin para que sirve. graduate and NCAA wrestling champion Phil Davis won his UFC debut on Saturday at UFC 109. A�Davis controlled the fight, dominating Brian Stann on the ground, and earned a unanimous decision victory. Cain Velasquez will face off against Antonio Rodrigo Nogueira in the main event of UFC 110 in Sydney, Australia on Feb. 21. A�The winner will likely be a top-contender for the heavyweight title. UFC welterweight contender Jon Fitch is scheduled to meet Thiago Alves at UFC 111 in Newark, NJ on Mar. 27. A�Fitch is on a three fight win streak after losing a unanimous decision title match to Georges St. Pierre in August of 2008 at UFC 87. A�Fitch defeated Alves by knock out in the second round (4:37) of their first meeting at UFC: Ultimate Fight Night 5 in June of 2006. UFC welterweight contender Josh Koscheck is set to fight Paul Daley at UFC 113 in Montreal, Quebec on May 8. A�Koscheck and Daley each hold a two fight win streak in the UFC coming into the fight. Black House MMA is home to some of the most accomplished and promising fighters in all of MMA. Tough Media’s Ed Soares and viagra super active Jorge Guimaraes founded the private facility, based out of Los Angeles, CA, in order to provide a place for the fighters they represent to train when in the area. Tough Media is a management company headed by Soares and Guimaraes, co-owners and operators of Black House MMA. Guimaraes and Soares are extremely influential and successful figures in the MMA world. A�Guimaraes came to America with the Gracie family and quickly became an ambassador for the sport of MMA. A� Guimaraes has worked with Pride and the UFC and in 1997 launched “Passing The Guard,” a show focused on MMA news and coverage: the first of its kind. A�Soares, owner of Sinister Brand Clothing, joined Guimares to produce the show on American television in April of 2004. Black House hosts an impressive list of MMA superstars including, UFC middleweight champion Anderson Silva, UFC light-heavyweight champion Lyoto Machida, WEC featherweight champion Jose Aldo, Antonio Rodrigo Nogueira, Antonio Rogerio Nogueira, Junior Dos Santos, Pedro Rizzo, Paulo Filho, Wagney Fabiano, Thales Leites, Diego Nunes, Chase Gormley, Andre Galvao, Fabricio Camoes, Glover Teixeira, Mario Miranda and Rafael Cavalcante. Black House fighter and UFC heavyweight contender, Antonio Rodrigo Nogueira, has an upcoming match-up against Cain Velasquez on Feb. 21 in the main event of UFC 110. Nogueira left Brazilian Top Team to train with Black House in 2007 and has gone 3-1 in the UFC since. Nogueira is currently training in San Diego with training partners Mark Munoz and Junior Dos Santos, according to Soares. Nogueira is working with his boxing coach Luiz Dorea and his new muay tai coach Billy Schiebe in preparation for the fight. Nogueira’s regular muay tai coach since 2000, Luiz Alves, suffered a stroke and crashed his car into a post in Rio De Janeiro, Brazil on Jan. 26. Alves, president of the Brazilian Muay Thai Federation, remains hospitalized. The accident marks a huge blow to Nogueira’s camp. Dominant UFC middleweight champion and arguably the top pound-for-pound fighter in the world, Anderson Silva, is in preparation for his main event title defense against Vitor Belfort on Apr. 10 at UFC 112 in Abu Dhabi. Silva is currently training with coach Josuel Distak, a former trainer of Belfort, for his upcoming fight, according to Soares. Silva is working with his muay thai coach Daniel Woirin, stregnth and conditioning coach Rogerio Camoes and boxing coach Cesario in preparation for the fight. He often works on his boxing with legendary trainer Freddie Roach as well. Silva is working with his training partners, Andre Galvao, Rafael Cavalcante and Ronaldo Souza. Silva and Nogueira often train together as well. “It’s not so much the coaches. It’s the group of people he trains with. Anderson is different. He puts on a good camp,” said Soares.